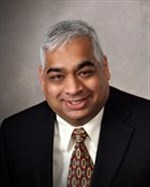 Jameel Ahmed has been teaching in the Applied Biology and Biomedical Engineering Department since 1999. He earned a B.S. in Bioengineering from Syracuse University in 1990 and M.S. and PhD degrees from Northwestern University in 1993 and 1997, respectively. During his time at Rose-Hulman, Jameel helped develop and implement a new B.S. program in Biomedical Engineering and is currently serving as the Interim Dean of Faculty and a Professor of Biology and Biomedical Engineering. 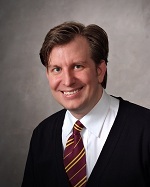 His research and interests include signal processing in the retina, neurobiology and neuroprosthetics. Jameel has served as a member of the Institute’s Leadership Advancement Program, which is a campus-wide effort to offer opportunities for students to develop their leadership skills. He is also active in the local community, serving on the Boards of Leadership Wabash Valley and the United Way of the Wabash Valley. Eva Andrijcic received her PhD and MS in Systems and Information Engineering from University of Virginia, where she worked at the Center for Risk Management of Engineering Systems. She received a BS in mathematics from Randolph-Macon Woman’s College. Her major interests are in the areas of risk analysis and management, critical infrastructure management and protection, interdisciplinary engineering education, and risk education. She has worked on several large research projects, including projects for the Department of Homeland Security and the Mitre Corporation. Eva has several publications in the area of risk analysis and systems engineering, and she is a member of the Society for Risk Analysis, American Society for Engineering Education, and International Council on Systems Engineering. Steve Chenoweth spent 30 years in industry, including teaching and evaluating courses for NCR Corporation and for AT&T/Lucent. He created courses using various methods of delivery to engineers and customers, using the students’ later success on projects to judge the value of the courses. He pioneered the adoption of creative design practices as a part of reinventing the system design curriculum at Bell Labs. At Rose-Hulman, Chenoweth was an inventor of the successful bachelors in software engineering program, and he is currently playing this same role in developing a master’s program in SE. He was one of the initiators of Rose’s interdisciplinary robotics program. In all of these programs, the focus is on having students work on real life projects, with outside clients, which come as close as possible to their upcoming career experience. He is an adopter of Knowles’ Andragogy, which mimics many of the conditions under which engineers and scientists must progress in their projects. Like Problem-Based Learning, this is a significant change from standard collegiate pedagogies; it requires a considered plan for successful adoption. Chenoweth has a Master of Business Administration and a PhD in Computer Science and Engineering from Wright State University in Dayton, Ohio. Kay C Dee received a BS degree in chemical engineering from Carnegie Mellon University and MEng and PhD degrees in biomedical engineering from Rensselaer Polytechnic Institute. Initially a member of the Biomedical Engineering faculty at Tulane University, she joined the faculty at Rose-Hulman in 2004 and served as the Founding Director for the Rose-Hulman Center for the Practice and Scholarship of Education from 2007-2009. She accepted the newly-created position of Associate Dean of Learning & Technology in 2012. Her educational research interests include learning styles, faculty development, and student evaluations of teaching. She has given more than 70 presentations/workshops on teaching and education-related topics. She has coauthored more than 50 peer-reviewed publications on teaching and education or biomedical engineering, as well as the textbook, “An Introduction to Tissue-Biomaterial Interactions”. Her educational and biomedical research projects have been funded by organizations including the National Science Foundation, the National Institutes of Health, and the National Aeronautics and Space Administration. Dee’s teaching portfolio includes undergraduate and graduate courses on: tissue-biomaterial interactions; engineering analysis; engineering design; medical device regulatory affairs; bioethics, science fiction, and tissue engineering; and teaching engineering. Dee has received a number of awards for teaching and research, including: “Professor of the Year” award for the state of Louisiana, from the Carnegie Foundation for the Advancement of Teaching, the Rose-Hulman Alumni Association Honorary Alumnus Award, Tulane University’s “Inspirational Undergraduate Professor Award”, a CAREER award from the National Science Foundation, and more. Craig Downing received his doctorate in Workforce Education and Development and MS in Manufacturing Systems from Southern Illinois University Carbondale. Dr. Downing has over 12 years of experience teaching Manufacturing, Management, and Mathematics at the post-secondary level. 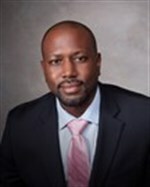 Additionally, he has amassed 10 years of industrial experience, four years as a Process Engineer and six years as a private consultant for organizations such as Lockheed Martin/NASA, Parker Hannifin, and Crain Enterprises. His interests are rooted in Industrial-Academic relationships, Quality Management System Development, and Production/Operations Management. He has multiple publications/presentations related to his areas of interest and continually explores new research opportunities related to Quality and Operations Management. He is a certified Lean Six Sigma Master Black Belt. 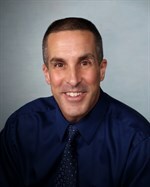 In 1994, Richard House earned a BA in English and philosophy at Illinois Wesleyan University, followed by an MA (1996) and PhD (2000) in English from the University of California at Irvine. He began his career in engineering education as a Marion L. Brittain Teaching Fellow at Georgia Tech before joining the Rose-Hulman faculty in 2001. He has been active since graduate school in planning and administering teaching workshops. House has active interests in literary studies, and regularly teaches courses on Shakespeare and on American literature as well as communication for engineers and scientists. In recent years, most of House’s publications and presentations have focused on engineering communication pedagogy and on environmental sustainability in undergraduate engineering curricula. House is one of the founders of Rose-Hulman’s Home for Environmentally Responsible Engineering, a living-learning community for first-year students that uses concerns of environmental sustainability to unify participants’ required first-year courses and extracurricular experiences. With his colleagues, House has recently been showcasing the HERE program in presentations for the American Society for Engineering Education, the IEEE Professional Communication Society, and the Association for the Advancement of Sustainability in Higher Education. Ella Ingram earned a degree in biology and mathematics from Augustana College in Rock Island, Illinois, then the PhD in ecology and evolution from Indiana University in Bloomington. 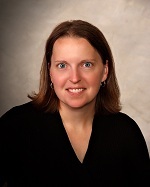 She joined the Rose-Hulman faculty in 2004. Since then, Ingram has taught courses ranging from introductory cell biology to upper-level electives like evolutionary medicine and environmental field methods. In collaboration with undergraduate researchers, Ingram has studied wetland ecology, sexual selection in humans, and plant-fungi interactions. Her educational research focus has been on student learning of evolution and genetics, and the influence of intellectual development on learning. This work has been published in published in top-tier journals and featured in Science magazine. Ingram is a regular contributor to community education projects, including the master gardener class series, the master naturalist program, and the local lifelong learning institute. Ingram has coordinated several institute-wide events, like the Careers in Biology Series and the Heading to Graduate School seminars. Future plans focus on creating opportunities for translating educational research to classroom practice. Glen A. Livesay received a BS in biostructural mechanics (Engineering Science) and a MS in Civil Engineering from the University of California, Los Angeles. He also received a MS in Applied Mechanics from the University of California, San Diego, and a PhD in Civil Engineering from the University of Pittsburgh. He started his academic career at Tulane University in biomedical engineering and joined Rose-Hulman in 2004 to help get the newly formed biomedical engineering program started up. Glen co-developed and co-teaches the biomedical engineering capstone design sequence and his educational research interests include student learning styles and the statistical evaluation of assessment instruments. He has received the Tulane University John Stibbs Award for outstanding undergraduate professor, a NSF CAREER award, and served as a Fellow at the National Effective Teaching Institute. More recently, he has been involved in developing courses on creativity for engineers in which role-playing is used as the vehicle to enable students to more honestly engage art and design concepts. Dr. Matthew Lovell is an Assistant Professor of Civil Engineering at Rose-Hulman. Before joining Rose-Hulman in 2011, Dr. Lovell worked as a bridge engineer in a structural engineering consulting firm and served as a site operations engineer for an earthquake engineering research group. Dr. Lovell focuses on infusing creative design and structured problem solving in undergraduate engineering courses. Sriram Mohan received a B.E degree in Computer Science and Engineering from the University of Madras and M.S and Ph.D. degrees in Computer Science from Indiana University. During his time at Rose-Hulman, Sriram has served as a consultant in Hadoop and NoSQL systems and has helped a variety of clients in the Media, Insurance, and Telecommunication sectors. In addition to his industrial consulting activities, Sriram maintains an active research profile in data science and education research that has led to over 30 publications or presentations. At Rose-Hulman, Sriram has focused on incorporating reflection, and problem based learning activities in the Software Engineering curriculum. Sriram has been fundamental to the revamp of the entire software engineering program at Rose-Hulman. 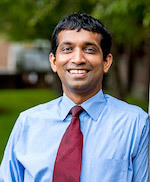 Sriram is a founding member of the Engineering Design program and continues to serve on the leadership team that has developed innovative ways to integrate Humanities, Science, Math, and Engineering curriculum into a studio based education model. In 2015, Sriram was selected as the Outstanding Young Alumni of the year by the School of Informatics and Computing at Indiana University. 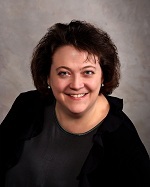 Julia Williams joined the faculty of the Humanities and Social Sciences Department in 1992, then assumed duties in the Office of Institutional Research, Planning, and Assessment in 2005. 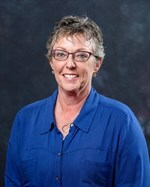 Her experience in undergraduate teaching began in 1985 when she taught English Composition at the University of Tennessee at Chattanooga, then continued through her graduate years at Emory University, where she received the Excellence in Teaching Award from the Graduate School of Arts and Sciences. Throughout her career at Rose-Hulman, she has blended her work in the classroom with work in assessment. She was the founder of the Program in Technical Communication at Rose-Hulman, a campus-wide effort to improve students’ written and oral communication skills in a variety of courses. In 1995 she joined the effort to create and implement the RosE Portfolio System, an online portfolio assessment tool that is still in use today as the RosEvaluation Tool. Evidence of student learning from the RosEvaluation is used by the Institute and academic programs to measure student learning and to direct curriculum improvements. She has been active in the use and assessment of tablet PCs in the classroom, and she has collaborated with faculty and staff in projects such as the Rose-Hulman Leadership Advancement Program and the national RosEvaluation Conference. Williams’ publications on assessment, engineering and professional communication, and tablet PCs have appeared in the Journal of Engineering Education, IEEE Transactions on Professional Communication, Technical Communication Quarterly, and The Impact of Tablet PCs and Pen-based Technologies in the Classroom, among others. She is the recipient of the 2010 Sterling Olmsted Award (ASEE Liberal Education Division), the 2007 Council for Higher Education Accreditation Award, 2007 HP Technology for Teaching Award, and the 2005 Microsoft Research Award. She is also the recipient of the 2008 Rose-Hulman Board of Trustees Outstanding Scholar Award and the 2004 Humanities and Social Sciences Department Outstanding Researcher Award.